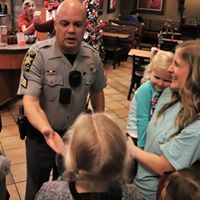 Town of James Island and the Island Sheriffs’ Patrol outreach focuses on building relations in the community with one-on-one interaction with our deputies. Through this outreach, we hope to bring our deputies and the communities they serve together to discuss issues, learn more about each other, laugh, and fellowship together. Please join us on Monday, April 15, from 5:30-7:30 p.m. at the James Island Chick-Fil-A to do just that. We hope to see you there!